Myanmar, a republic in South-East Asia, bounded on the north by Tibet Autonomous Region of China; on the east by China, Laos, and Thailand; on the south by the Andaman Sea and the Bay of Bengal; and on the west by the Bay of Bengal, Bangladesh, and India. It is officially known as the Union of Myanmar. 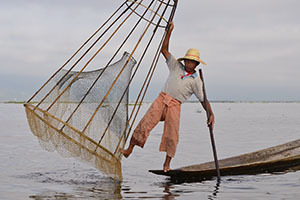 The coastal region is known as Lower Myanmar, while the interior region is known as Upper Myanmar. The total area of the country is 676,552 square km (261,218 square miles). A horseshoe-shaped mountain complex and the valley of the Ayarwaddy (Irrawaddy) River system are the dominant topographical features of Myanmar. The mountains of the northern margin rise to 5881 meters (19,296 ft) atop Hkakabo Razi, the highest peak in Southeast Asia. The two other mountain systems have northern to southern axes. The Arakan Yoma range, with peaks reaching more than 2740 meters (about 9000 ft), forms a barrier between Myanmar and the subcontinent of India. 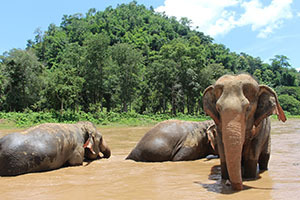 The Bilauktaung range, the southern extension of the Shan Plateau, lies along the boundary between southwestern Thailand and southeastern Lower Myanmar. The Shan Plateau, originating in China, has an average elevation of about 910 meters (about 3000 ft). Generally narrow and elongated in the interior, the central lowlands attain a width of about 320km (about 200 miles) across the Ayarwaddy-Sittaung delta. The delta plains, extremely fertile and economically the most important section of the country, cover an area of about 46,620 sq. km (18,000 sq. ml.). Both the Arakan (in the northwest) and the Tenasserim (in the southwest) coasts of myanmar are rocky and fringed with islands. The country has a number of excellent natural harbors. Myanmar is an all year round destination. Hilly regions in the north and northeast enjoy cool temperate weather. Rainfall is also very low in central regions the rainy season. The Republic of the Union of Myanmar has a population of over 60 million. The major racial groups are Bamar, Kachin, Kayah, Kayin, Chin, Mon, Rakhine and Shan. The people are called Myanmar. Over 80 percent of Myanmar embraces are Theravada Buddhism. There are Christians, Muslims, Hindus and some animists. Predominantly Myanmar (Bamar) and ethnic minorities speaking Chin, Kachin, Kayin, Shan and other 135 hill-tribe dialects and also Cantonese, Mandarin, Hindustani, Urdu spoken Chinese and Indian Immigrants. Being once a British colony English is also widely spoken. Myanmar lies on the crossroad of two of the world’s great civilizations – China and India – but its culture is neither that of India nor that of China exclusively, but a blend of both interspersed with Myanmar native traits and characteristics. Buddhism has great influence on daily life of the Myanmar. The people have preserved the traditions of close family ties, respect for the elders, reverence for Buddhism and simple native dress. Myanmars are contented and cheerful even in the face of adversities and known for their simple hospitality and friendliness. Myanmar has a long history and its greatness dates back to the early 11th Century when King Anawrahta unified the country and founded the First Myanmar Empire in Bagan more than 20 years before the Norman Conquest of England in 1066. The Bagan Empire encompassed the areas of the present day Myanmar and the entire Menam Valley in Thailand and lasted two centuries. The Second Myanmar Empire was founded in 16th Century by King Bayinnaung styled Branginoco by the Portuguese. King Alaungpaya founded the last Myanmar Dynasty in 1752 and it was during the zenith of this Empire that the British moved into Myanmar Wars in 1825. During The Second World War, Myanmar was occupied by the Japanese from 1942 till the return of the Allied Forces in 1945. Myanmar becomes a sovereign independent state in January 1948 after more than 100 years of colonial administration. The local currency is the “Kyat” which is divided into 100 pyas. Kyat notes are issued in denominations of 1, 5, 10, 15, 20, 45, 50, 90, 100, 200, 500, 1000, 5000 and 10000. Foreign currencies (above USD 2000), jewellery, cameras and electronic goods must be declared to the customs at the Airport. Exports of antiques and archaeologically valuable items are prohibited. Foreign Exchange Certificate, issued for the convenience of visitors, is accepted by hotels, airlines, travel agencies, taxis, restaurants and convenient for entrance fees to pagodas, museums, parks, etc. FECs are issued in US $1,$5, $10 and $20 denominations and it can be exchanged at Yangon International Airport. Explore the largest city of Myanmar “Yangon” mixes of colonial architecture, modern high-rises and gilded Buddhist pagodas define its skyline, connecting to experience the ancient city of Bagan where more than 2,000 Buddhist monuments tower over green plains, admired by old Bagan Ananda Temple, built in 1091 and topped with a golden Stupa. Unlock the most impressive Myanmar’s major cities including the famous Yangon’s significant pagoda of Shwedagon, Bagan’s hundreds of ancient Stupas especially visit the massive Pyramid of Dhamayankyi. Continue to experience the former capital city, well-known as Mandalay – its golden palace gilt with millions of Gold Leaves and the beautiful surroundings. 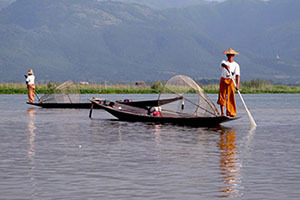 Admirably, ends the tour with the highlights of beautiful Inle Lake. 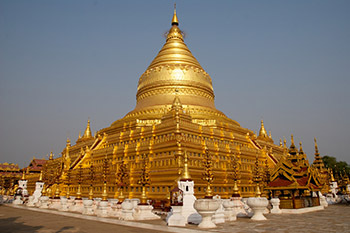 This private tour offers the best main tourist attractions of Myanmar, exploring from the largest city “Yangon”, mixes of colonial architecture, modern high-rises and gilded Buddhist pagodas, visit the heart of Buddhism in Bagan including the most sacred Stupa, temples and the massive Pyramid of Bagan “Dhamayankyi” and admired by the world’s longest wooden bridge “U Bein”. Visit three impressive Asia countries Vietnam, Cambodia & Myanmar. 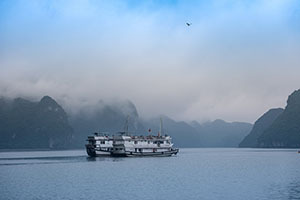 From popular Hanoi Halong Bay, vibrant Saigon’s French influences to Phnom Penh Royal Palace & the marvelous Angkor Wat temple – the land of significant ancient temples admired by Great Lake of Tonle Sap, Myanmar’s top destinations offer an endless memorable journey from Yangon to the curious Inle Lake. 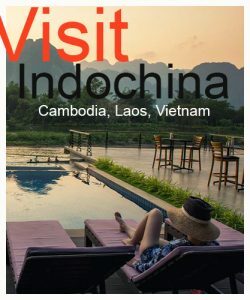 This is such a long great holiday trip to see beautiful Southeast Asia; gorgeous Indochina countries included Vietnam, Cambodia & Laos, amazingly get inspired by the journey to explore Myanmar and her traditional people’s life. The tour begins from Hanoi along with natural Halong Bay across Saigon city, meet the Royal Palace & incredible Angkor Wat in Cambodia then experience the sleepy splendors in Laos before ending the tour in Myanmar.